The Venetian period was followed by the first French occupation in 1797, It was the end of the feudal system, and the people burned the book of Gold (libro d` oro) where all Aristocrats were listed. In a symbolic gesture the libro d`oro was burned in all Ionian islands. The initial euphoria after the arrival of French, who were welcomed as liberators, quickly turned to severe distress due to French arrogance towards the locals and the heavy taxation. 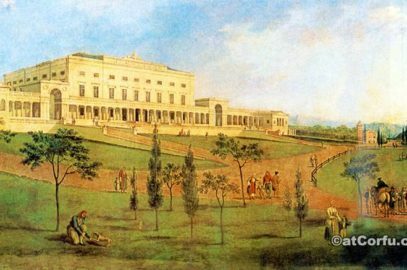 Followed by a period of instability, people were divided, the Nobles began to exploit the popular discontent against the French, and began to plot for the occupation of Corfu by the Russians. They finally succeeded in 1799 when a strange alliance of Russians and Turks occupied Corfu. The Russian admiral Ousakof, of aristocratic origin, immediately restored the privileges of the nobility and later on 21st of March 1800, at the instigation of Ioannis Kapodistrias, then foreign minister of Russia, founded the Ionian State, also known as Septinsular Republic, this was the first independent Greek state, something that Kapodistrias envisioned as a harbinger of the rebirth of a Greek state. 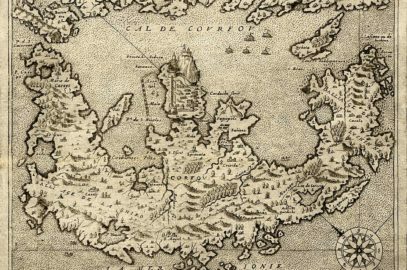 It was a federation of the seven larger island states, Corfu, Kefalonia, Zakynthos(Zante), Paxos, Lefkada, Ithaka and Kythyra, also included all other smaller Ionian islands, the capital was Corfu. This state remained until 1807 when the French under Napoleon returned and stayed until 1814. It was the time when the two buildings which today are the famous Liston were built by the French for use as military barracks. 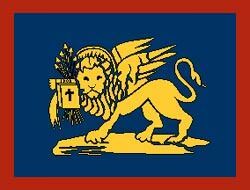 In 1815 Corfu went under British rule, the seven Ionian island state declared its independence under British protection with Greek as the official language and Corfu town as the capital. The first “Lord High Commissioner of the Ionian Islands” was Lieutenant-General Sir Thomas Maitland. The state`s govertment had 29 members, 7 members from Corfu, 7 from Kefalonia and 7 from Zante, 4 were elected from Lefkada. Paxos, Ithaka and kythyra elected 1 each plus a second member which was elected in rotation by the three. 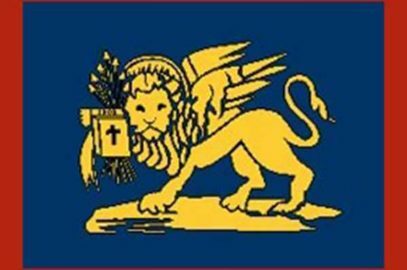 The official name of the new protectorate was: “United states of Ionian islands”, During this period the Ionian Academy, the Reading Society and the public library were established. 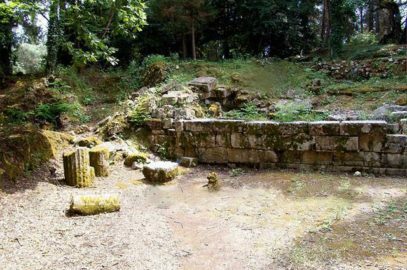 Under British rule the local economy was well developed, the palace of Saint Michael and George was built and also the road network of the island was expanded as well as the construction of the aqueduct that supplied Corfu town with water from the hills around Benitses. 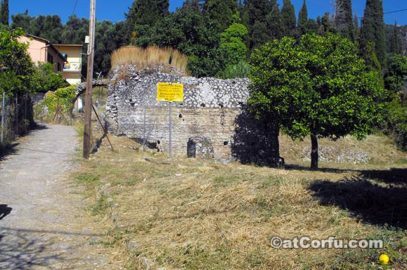 Power plants too were built in Corfu, which however after the union with Greece were moved to Piraeus. Many other projects and significant improvements to the island’s infrastructure were made during this period. 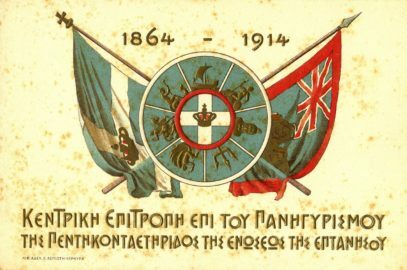 On 21 May 1864 after the London treaty and the positive vote of Ionian parliament, Corfu and all Ionian islands united with Greece. 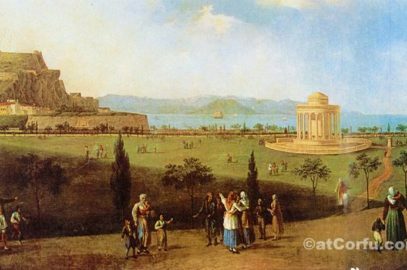 It was one of the most important turning points in the history of Corfu, the turbulent historical past of the island ended, so ends the prominence of Corfu as capital of the Ionian state, the emergent Greek state could not afford the existence of two centres of economic and cultural strength, so in the battle with Athens Corfu lost its university, its fame, its cultural lead and after just 40 years became a Greek provincial town. But the memories of the glorious past remain and this is what makes Corfu unique, a Greek island which does not look like the others.